??????????????? ?Ben's teeth were hopeless and he wanted to look and feel like he had his own teeth. 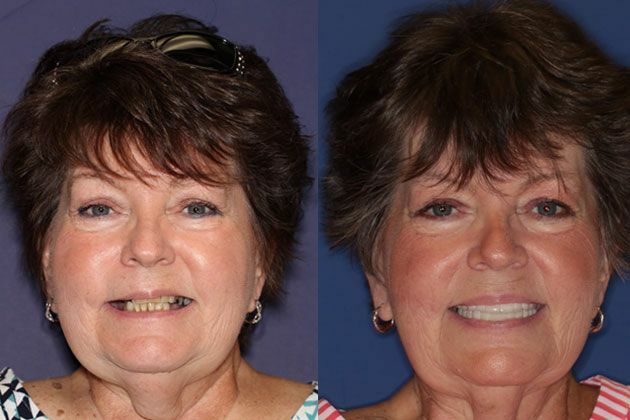 Our doctors performed complete dental reconstruction with implants and permanent bridgework under IV sedation. Now Ben looks like a new man. I got used to not smiling for the past 20 years. Now eating, speaking and smiling is absolutely a pleasure. Thank you for performing such a wonderful job. -BEN???????????????? ??????????????? ?Sharon has lost most of her teeth due to failure of her old crowns. She was extremely fearful of dentists and wanted a dentist who could provide her with permanent implant options under sedation. 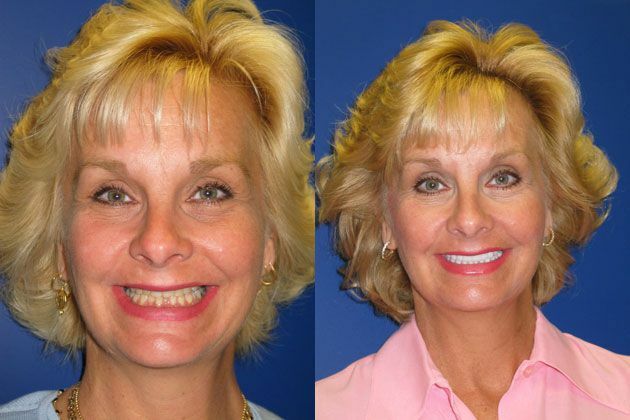 After dental reconstruction Sharon can smile with confidence and never worry about wearing dentures. I have always suffered with major dental problems and wanted a special dentist who could give me a smile I'd be proud of. I'm so thankful I found the right doctor to help me." SHARON???????????????? ??????????????????? ?George had lost several teeth due to decay. 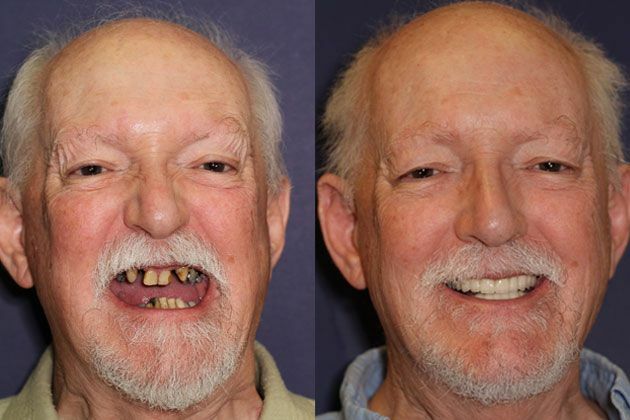 He wanted to replace his missing teeth and restore his smile. 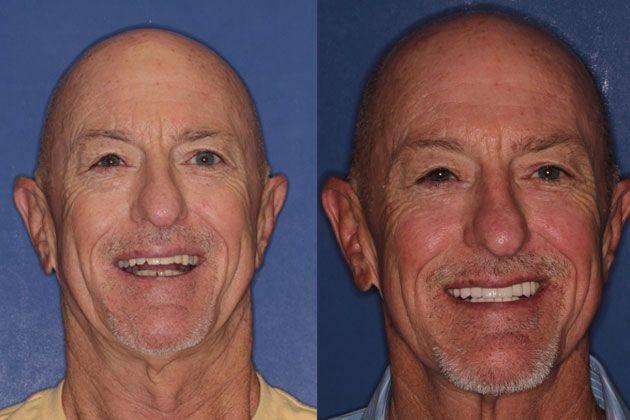 Our doctors replace missing teeth with implants and restored George's mouth with porcelain crowns. 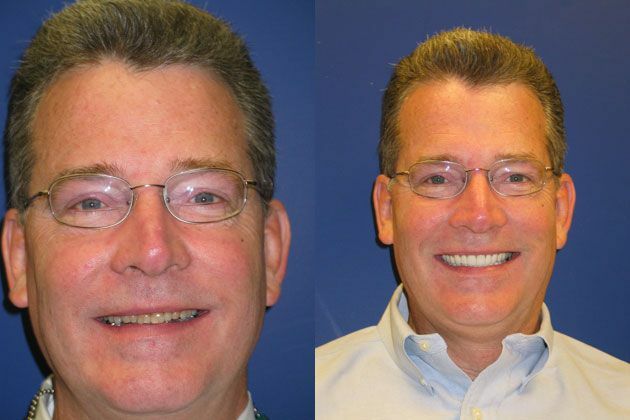 The final result is a healthy mouth and a great smile too. The care at PGA Dentistry is the best. Their doctors are really perfectionists and are highly skilled at what they do. I feel much younger and healthier. -GEORGE???????????????? ??????????????????? ?Michelle suffered with very poor dental health. Her fear of the dentist caused her to avoid going to the dentist all of her adult life. 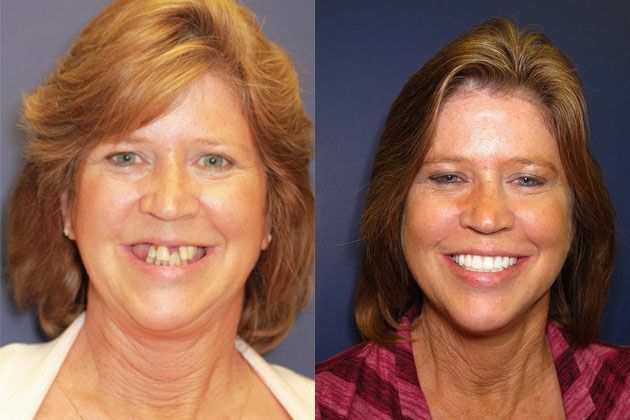 None of her remaining natural teeth were able to be salvaged. 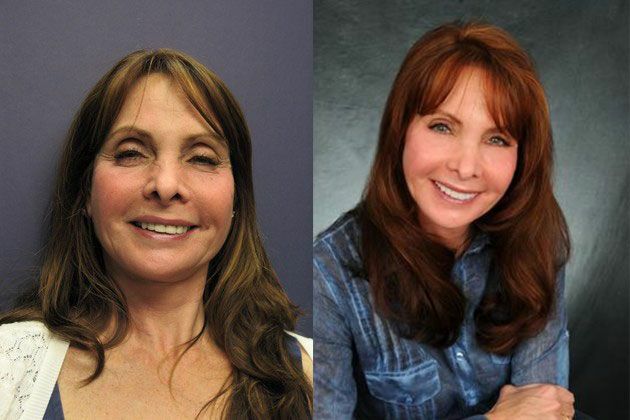 Michelle underwent full mouth reconstruction with dental implants and Prettau Zirconia bridgework. All of her treatment was performed under IV sedation. Actual patient of our doctors. PGA Center for Advanced Dentistry, PGADenstistry.com???????????????? ??????????????????? ?Tim suffered with major dental problems his whole life. Most of his teeth were chipped and cracked and he was very unhappy with his smile. He was very fearful of the dentist, so he always avoided going. 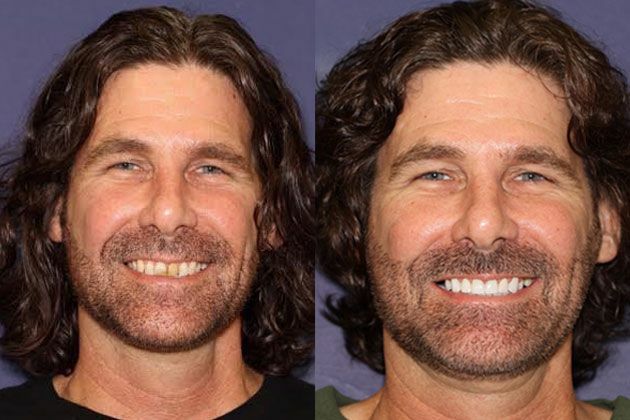 Tim underwent full mouth restoration with Emax cosmetic porcelain crowns to restore his teeth to proper health and function leaving him with a smile he's proud of. Actual patient of our doctors. PGA Center for Advanced Dentistry, PGADenstistry.com??????????????? ??????????????????? 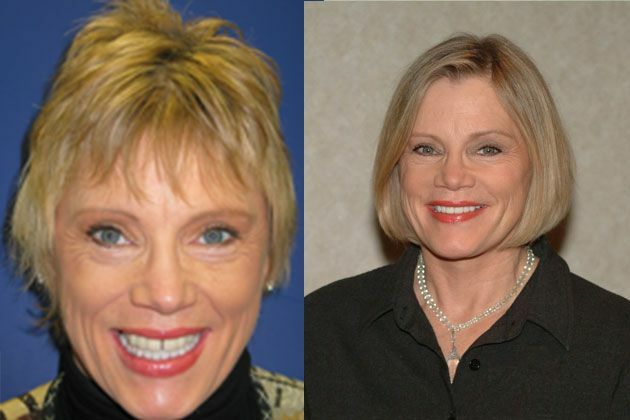 ?JoAnn had older dental work done over the years that were different shades of yellow and didn't match. She wanted all her dental work replaced with metal free cosmetic porcelain that was whiter and more attractive. Actual patient of our doctors. PGA Center for Advanced Dentistry, PGADenstistry.com??????????????? ??????????????????? ?Meryl had extensive bone loss due to periodontal disease as well as decay of all her remaining teeth. Unfortunately, her teeth could not be saved and she was extremely fearful of going to the dentist. 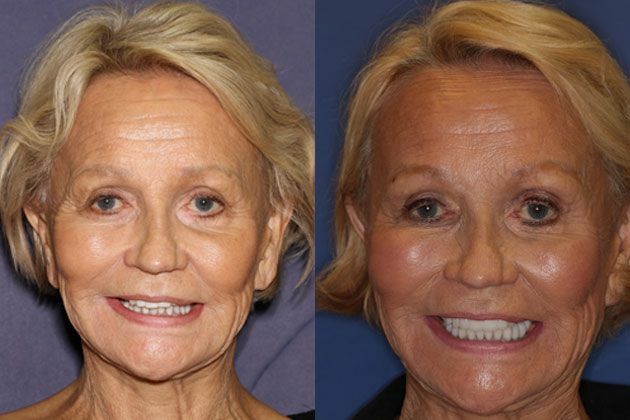 Meryl underwent full mouth reconstruction with dental implants and cosmetic fixed porcelain bridgework. All her treatment was performed under IV sedation. Now she can eat what she wants, smiles with confidence and is much healthier. Actual patient of our doctors. PGA Center for Advanced Dentistry, PGADenstistry.com??????????????? ??????????????????? ?Phyllis had older yellow porcelain to metal crowns that were failing and had unsightly decaying margins. 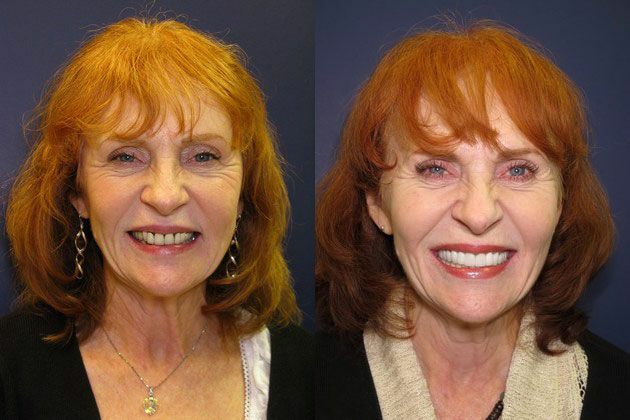 She underwent full mouth restoration with Emax Cosmetic porcelain crowns for a healthy bright smile that will last many years. Actual patient of our doctors. PGA Center for Advanced Dentistry, PGADenstistry.com??????????????? ??????????????????? ?Todd suffered with poor dental health all of his adult life. Most of his teeth were severely decayed, stained and unattractive. 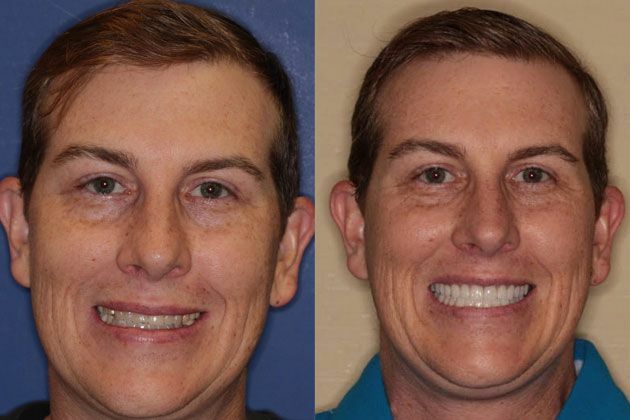 Todd underwent full mouth restoration with Emax cosmetic porcelain crowns. Actual patient of our doctors. PGA Center for Advanced Dentistry, PGADenstistry.com??????????????? ??????????????????? ?Elaine had older crowns on all of her back teeth and dental bonding on her front teeth. She had a deep overbite causing her lips to be unevenly supported. 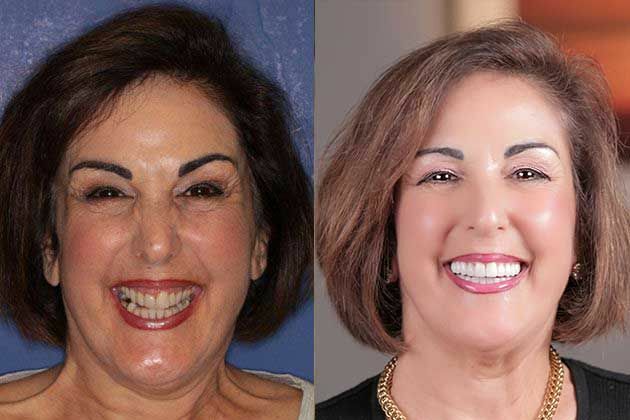 She underwent full mouth restoration with cosmetic porcelain crowns to replace her older crowns and cosmetic porcelain veneers on her front teeth to replace her bonding. 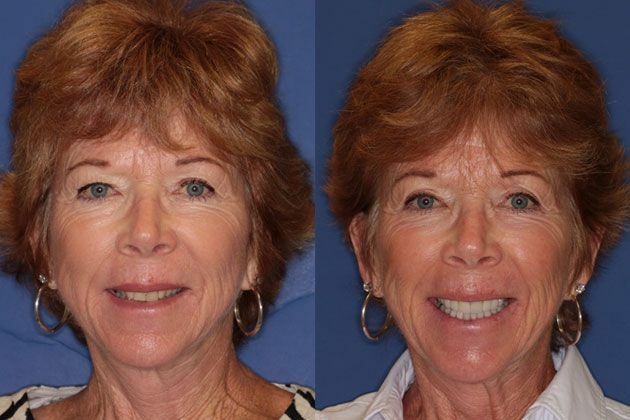 Her entire mouth was restored to optimum health, function and aesthetics. Her bite was changed to reduce her overbite and establish more even lip fullness and balanced facial aesthetics. Actual patient of our doctors. PGA Center for Advanced Dentistry, PGADenstistry.com??????????????? ??????????????????? ?Bill had lost many teeth over a number of years and had gradually lost his bite, allowing his lower jaw to collapse forward and up. His wife encouraged him to finally seek help for his dental problems. 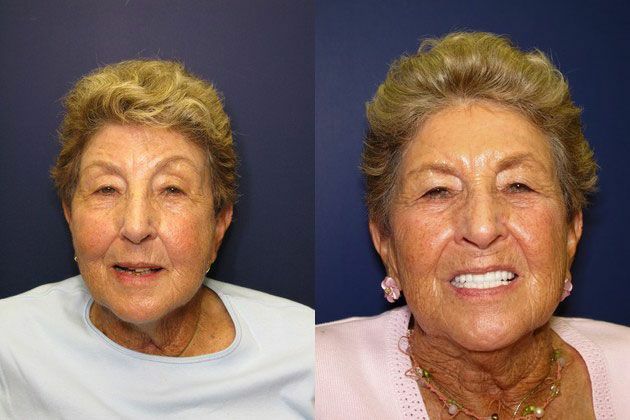 Their doctors performed complete dental reconstruction with fixed porcelain bridgework. Now Bill can eat and speak like he used to and his smile looks great. My wife had been wanting me to get my teeth fixed for years. I finally did it and am so glad I did. Thanks to them, I feel like a new man. -BILL??????????????? ??????????????????? ?Paul had his bridgework done by a dentist in New England. He thought he was seeing an expert that would give him good results, but what he ended up with was bridgework that totally did not fit his mouth or his face. Paul wanted a wider smile that would look clean & white. 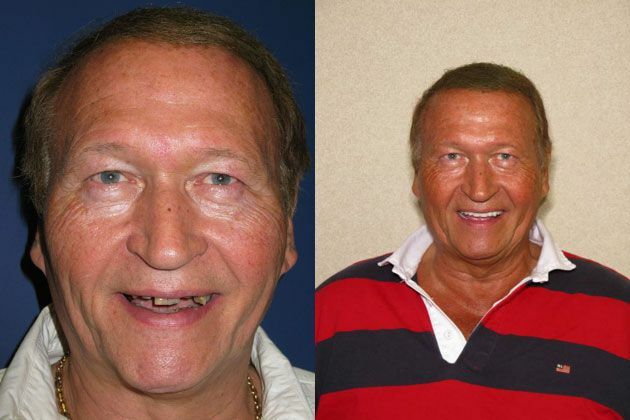 Our doctors custom designed a smile for Paul that suits his face & his image. 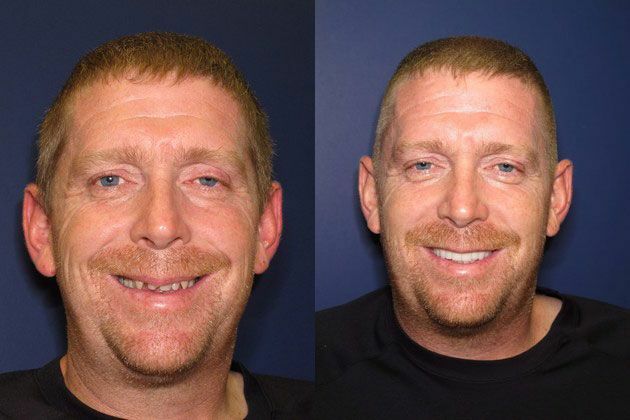 "To went to a reputable dentist up North to fix my teeth and my smile. What I ended up with was not at all acceptable. I was referred to their doctors because I heard they were the best. I can honestly say I wish I would have seen them the first time. My wife says I look so much younger and healthier. Fabulous work!" ~Paul??????????????? ??????????????????? ?Rebecca's older dental work was failing and she was fearful of the dentist. 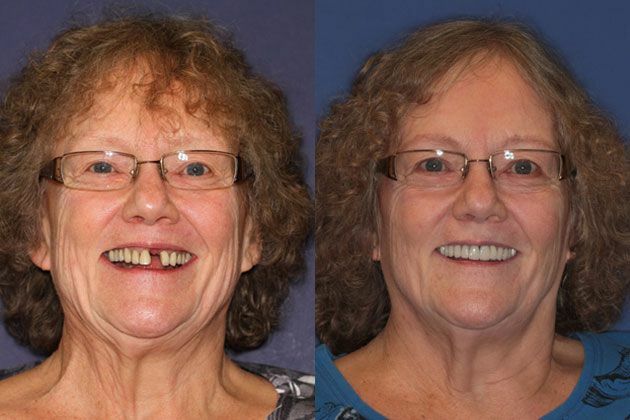 She wanted a fuller smile while restoring her back teeth for health. 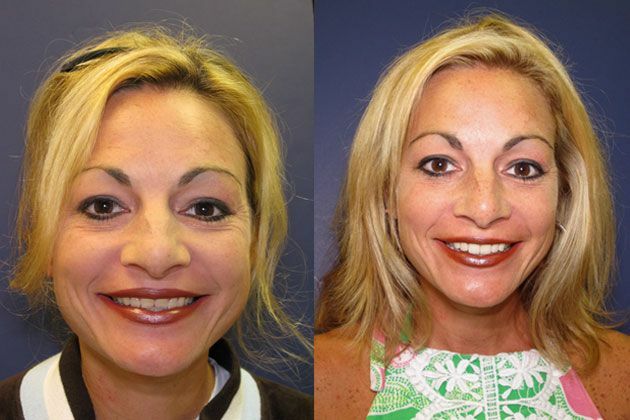 Our doctors performed a Complete Smile Lift and Restoration adding symmetry to Rebecca's entire face. Sedation was used for all treatment. 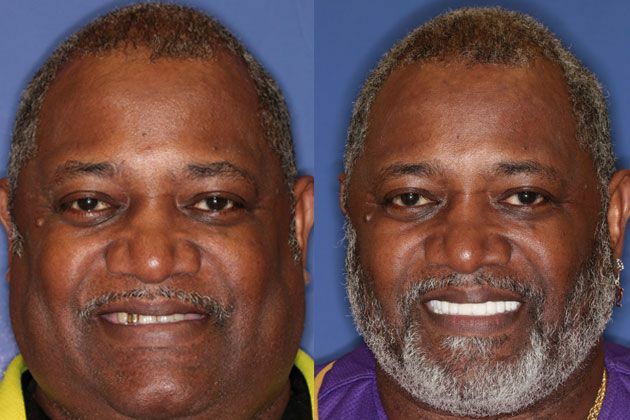 After years of being fearful of the dentist, I met them and immediately felt confident. The sedation worked great. Thank you for your wonderful work Rebecca."??????????????? ??????????????????? ?Betsy's teeth were dark yellow,short and chipped due to years grinding her teeth. She wanted to show more teeth and have slightly more upper lip fullness. 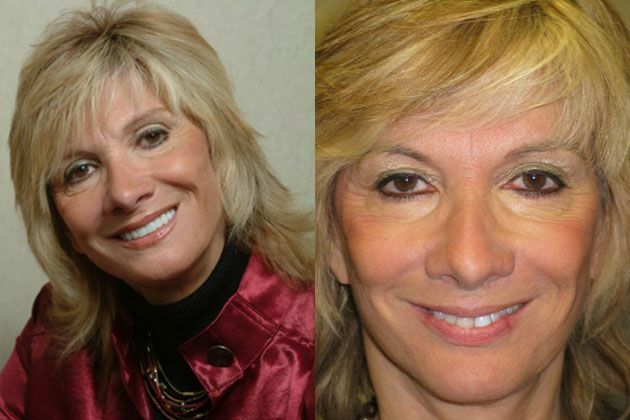 Our doctors performed a Smile Lift with Emax porcelain veneers. Special Porcelains were used for long term durability. My Smile Makeover makes my whole face look better. I feel fabulous and I get compliments all the time. Thank you so much. Betsy??????????????? ??????????????????? ?Joilie had bonding that had stained over time and older crowns on her back teeth. 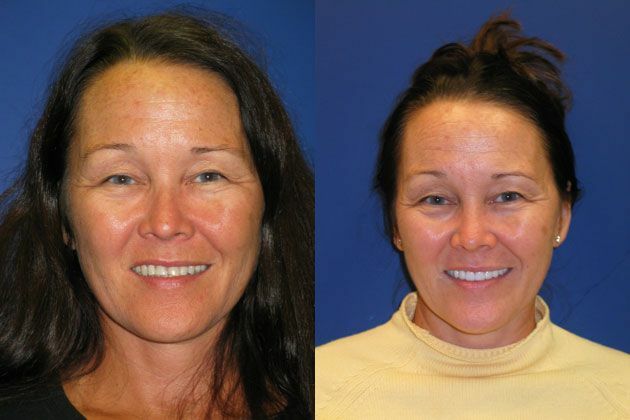 She wanted a bright healthy smile that would stay beautiful and wanted to replace her older dental work for long term health. 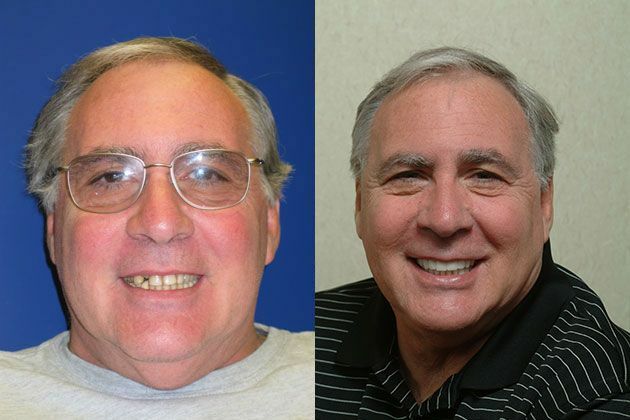 Our doctors performed a Complete Smile Makeover. The result is a bright white smile that Jolie will be proud of for many years. I'm truly happy I came to their office to have my dental work done. Thanks for making me feel so special. JOLIE??????????????? ??????????????????? ?Jeff's teeth were dark yellow and chipped. His upper jaw and smile were too narrow for his face. 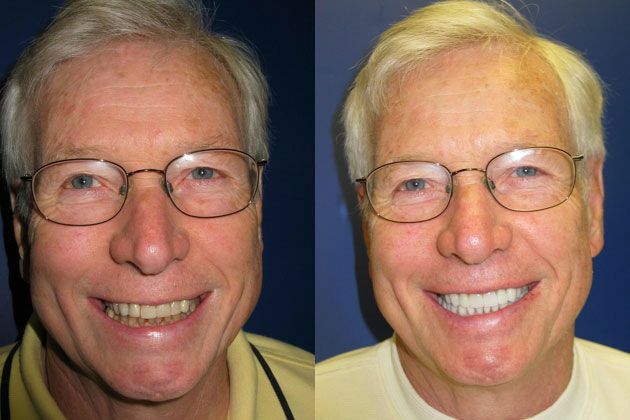 He was in sales and wanted a wider white smile that would boost his confidence and make him feel good. 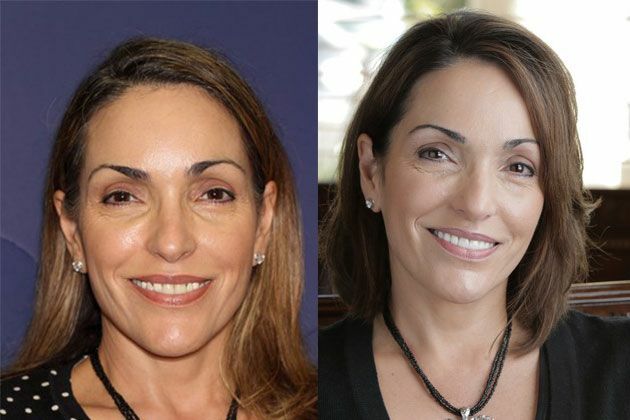 Our doctors performed a Cosmetic Smile Lift. 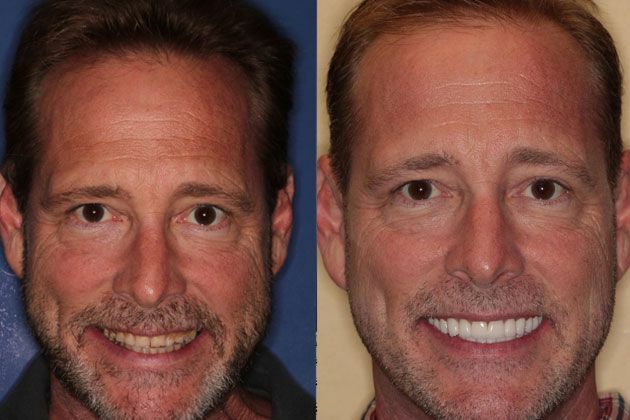 Now Jeff can smile with confidence and increase his success in business. "I was always self-conscious of my teeth. Now I enjoy the self-confidence of a handsome smile. Great job!" Jeff??????????????? ??????????????????? ?Jamie had a darkened front tooth from an accident and her front teeth did not meet properly when she bit down. She wanted to close the space between her top and bottom teeth and bright smile. 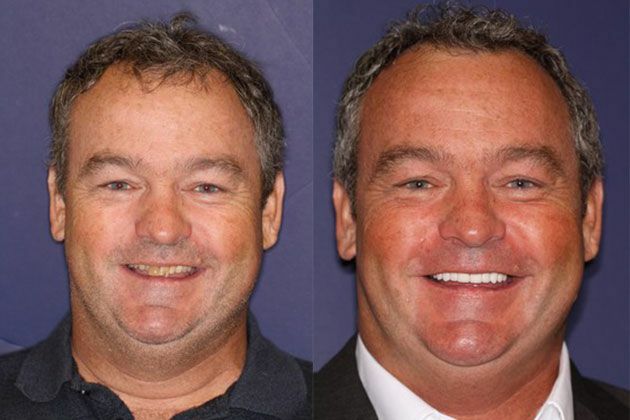 Our doctors performed a Smile Makeover with Ultra Thin Porcelain Veneers which require absolutely minimal tooth reduction allowing preservation of Jamie's natural teeth. 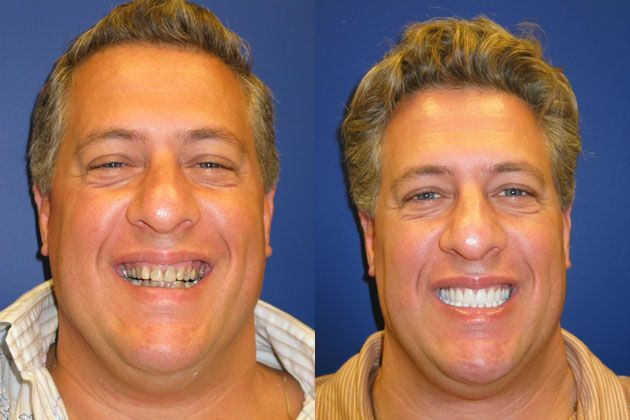 I'm really happy with my Smile Makeover. The doctors and their staff were incredible. Thanks. -JAMIE??????????????? ??????????????????? ?Louise's teeth were chipped and worn down from a teeth grinding habit. 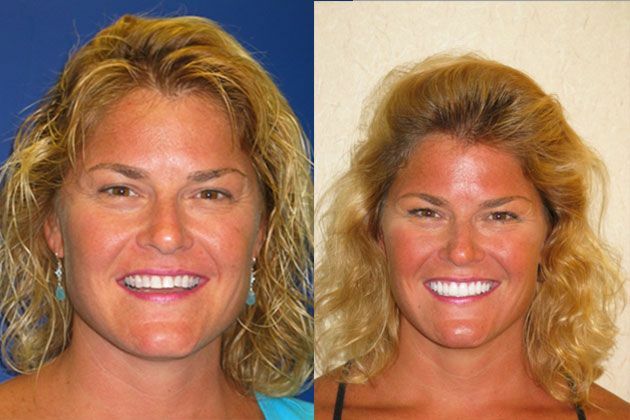 She wanted longer white teeth and a beautiful smile. 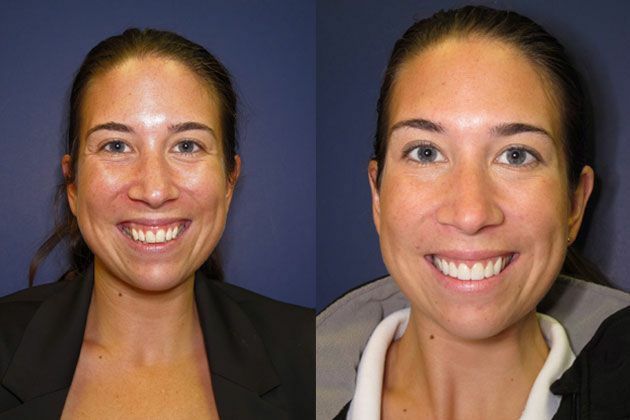 Our doctors performed a Complete Smile Makeover/Smile Lift with durable Empress Veneers. Louise wears at night guard to grinding. "I've always been someone who likes to smile, but was embarrassed of my teeth. Now I can smile and feel good about myself. Thanks for your fabulous artwork. -LOUISE??????????????? ??????????????????? ?Hortensia had older dental work that had yellowed and was uneven. Her gums had receeded showing metal collars around some of her crowns. 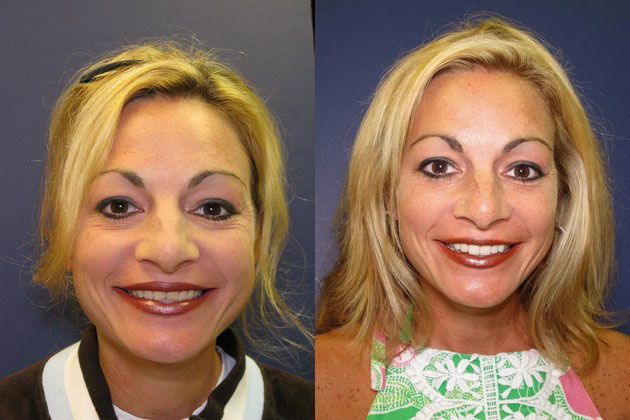 She had her teeth restored with cosmetic porcelain crowns that are white and uniform to giver her a bright, healthy smile that suits her full lips and pretty face. "Their doctors did such a wondering job replacing my outdated work. My new smiles makes me feel absolutely beautiful!" ~Hortensia??????????????? ??????????????????? ?Denise had older crowns that were short, over-bulked & yellow. She wanted larger white crowns that looked more natural. 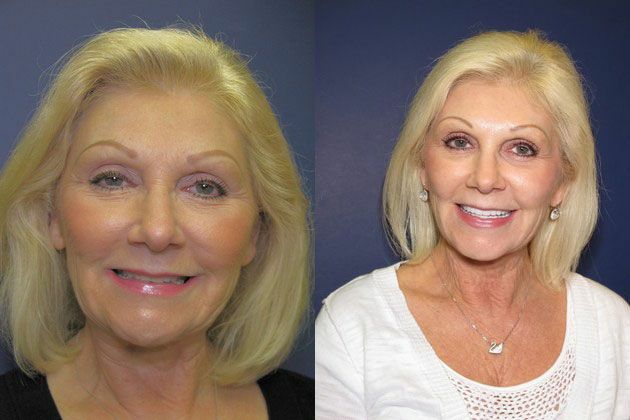 Our doctors replaced her old crowns with metal free porcelain crowns that will last many years. "I am the type of person who likes to smile a lot, but my old dental work was unattractive. Having the work replaced made a big difference in how I feel about myself. Thank you so much!" ~Denise??????????????? ??????????????????? ?Ron's teeth were severely worn and cracked, but he experienced no pain. 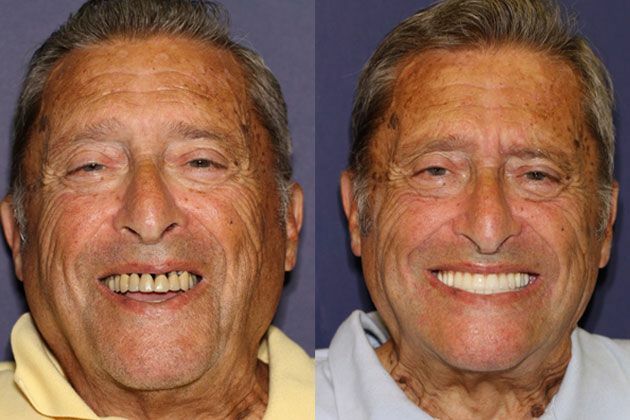 His wife asked him to please get his teeth fixed. Most of his dental work was at least 20 years old and failing. 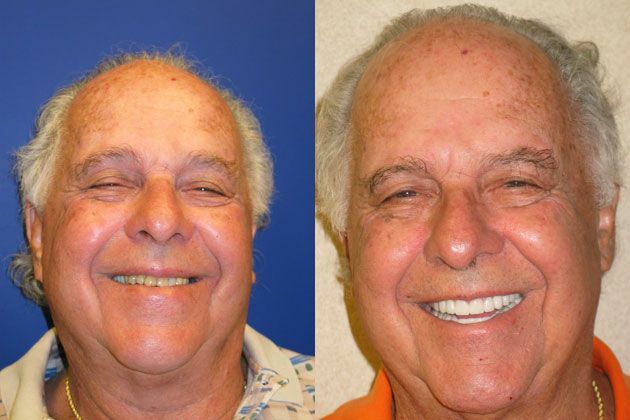 Our doctors saved all of Ron's teeth and restored his smile for good health and aesthetics. My wife and I are so happy with the restoration their doctors did. I look and feel so much healthier. Your office is fabulous. Ron??????????????? ??????????????????? ?Ida had old dental work that was failing with time and didn't feel good about her smile. 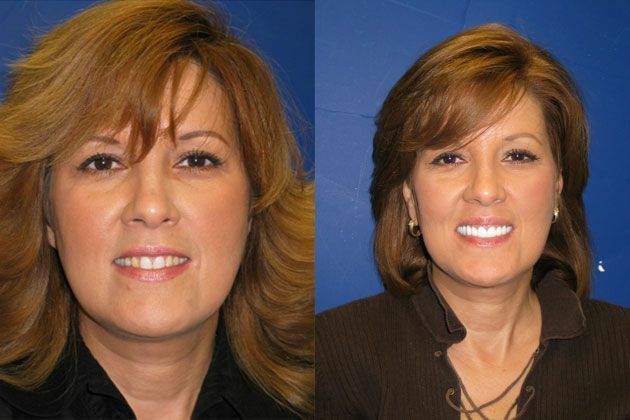 She wanted a youthful, brighter smile that complemented her face and to replace her older crowns with metal free crowns. 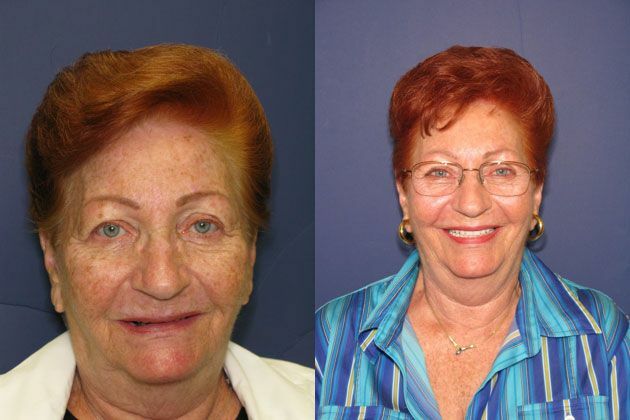 Our doctors gave Ida a whole new smile while also restoring her teeth for long term health and beauty. "My friends keep telling me how much younger I look. The doctors are artists! I wouldn't trust my smile to anyone else." Ida??????????????? ??????????????????? ?Sandy was unhappy with the unnatural appearance of her older crowns. 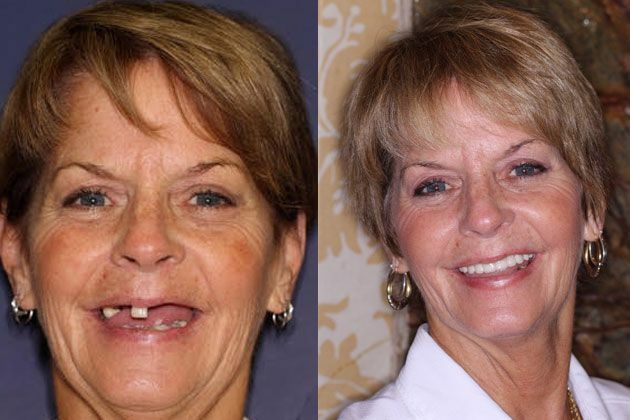 Most of her dental work was failing and she wanted to keep as many teeth as possible and have a more natural smile. 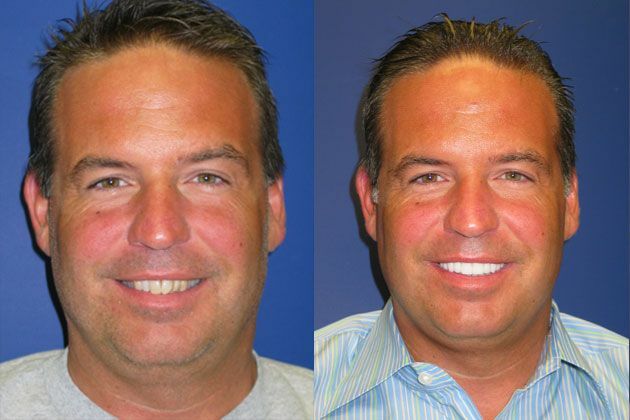 Our doctors restored Sandy mouth with metal free porcelain crowns and bridgework." My older crowns looked totally unnatural. Now my teeth look like they did when I was 20. Thank you such a great work." Sandy??????????????? ??????????????????? ?Bonnie had older crowns that were done at various times. Her bite had shifted resulting in a loss of fullness to her lips and face. 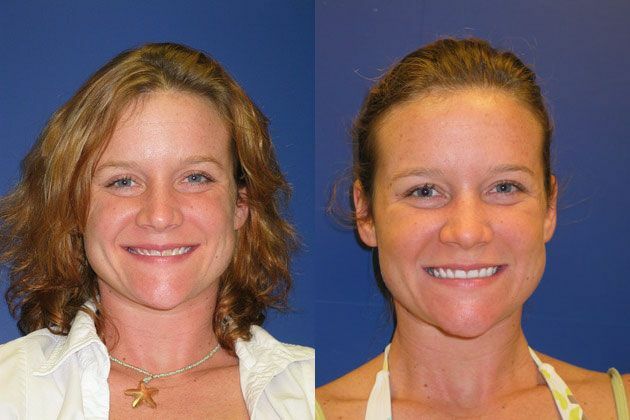 She wanted to restore her teeth and smile to make her look and feel younger. Our doctors restored her bite to proper function ad aesthetics. 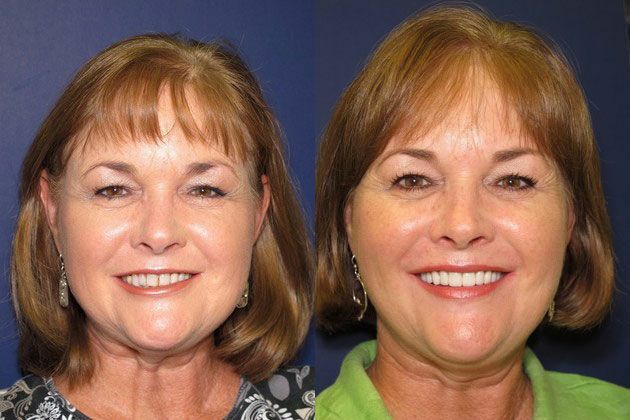 The result is a healthy smile that gives her facial symmetry, balance and a more youthful appearance. All my friends tell me I look 15 years younger. The doctors and their staff are wonderful. Bonnie??????????????? ??????????????????? ?Tom was frequently having teeth repaired with fillings and bonding. 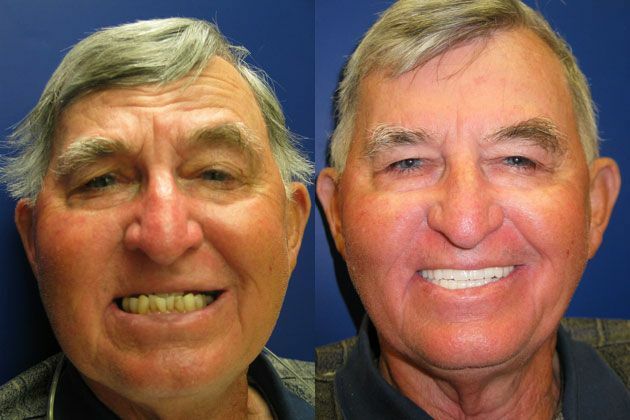 He wanted his mouth completely restored to health so he could keep his teeth. 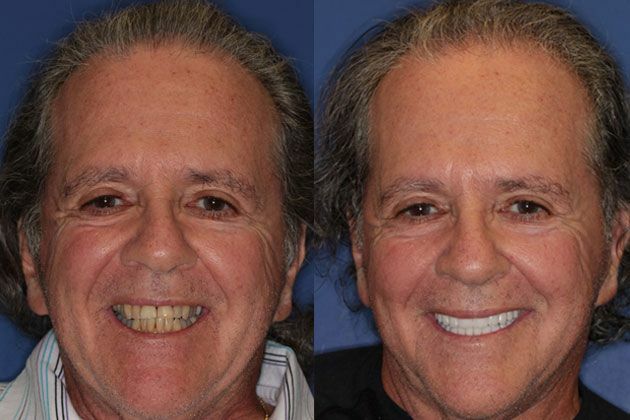 Our doctors restored Tom's entire mouth with Empress Porcelain Crowns. Now Tom has a healthy mouth and a handsome smile. I finally had my mouth restored by their doctors and I haven't had a problem since. For the first time in my life, I'm proud of my smile. Thanks for all you've done. Tom??????????????? ??????????????????? ?Robert's teeth were dark yellow, cracking and chipping. 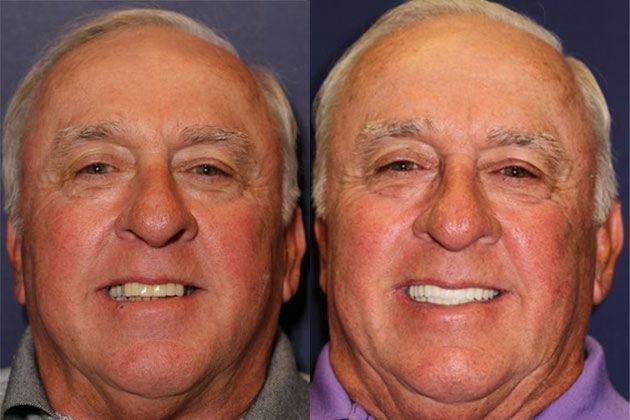 His wife encouraged him to have his smile repaired to improve his professional image. 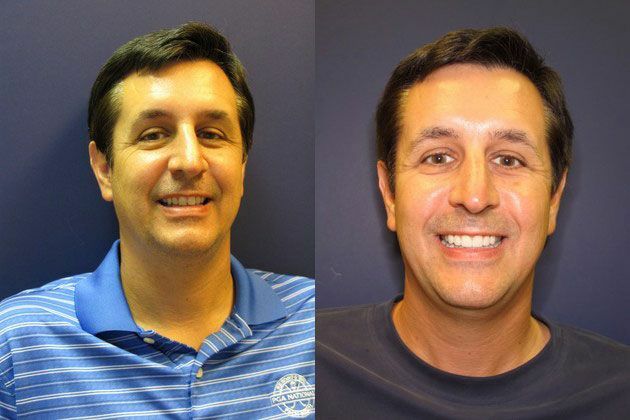 Our doctors restored Robert's mouth with Emax Porcelain Crowns and Veneers for a clean handsome smile that exudes confidence and self esteem. "My teeth looked bad for a long time. I only wanted an expert cosmetic dentist to do my work. Now I've got a clean healthy smile I can be proud of and my wife says I look great. Thanks for your excellent work. Robert??????????????? ??????????????????? ?Jennifer had large old silver fillings in her back teeth. 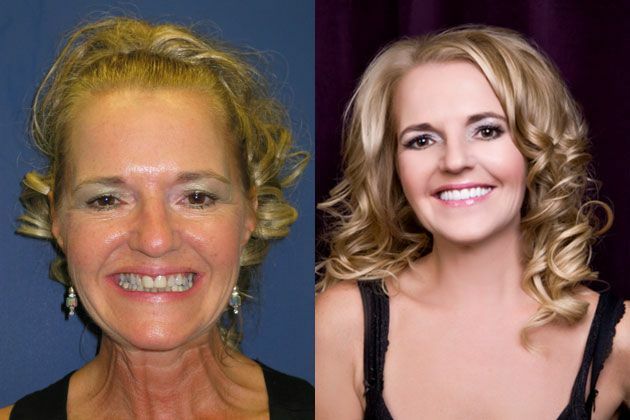 She wanted all of the dark toxic metals removed and a healthy smile. 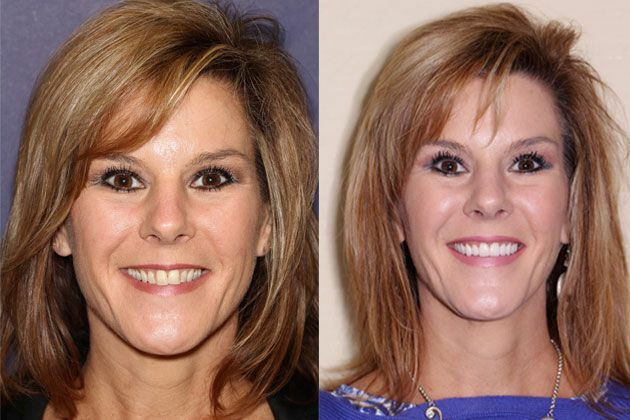 Our doctors restored Jennifer's whole mouth with metal free Empress Porcelain Crowns and Veneers. I finally got rid of all that dark metal in my mouth. I couldn't stand looking at it anymore. Now I have a clean, healthy mouth and a great smile too. I'm really pleased with the results. Jennifer??????????????? ??????????????????? ?Nancy's teeth were worn down, dark and crooked. 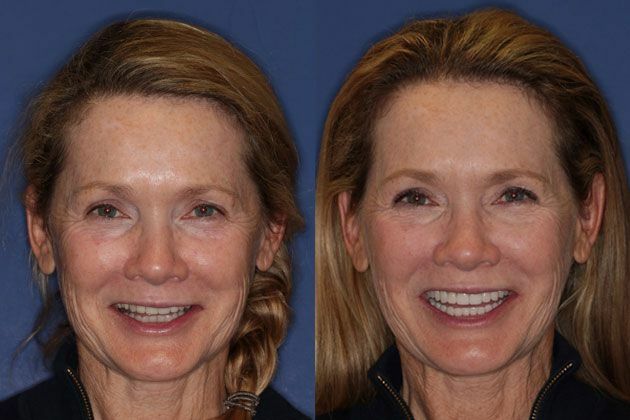 She wanted longer white teeth and a youthful healthy smile. 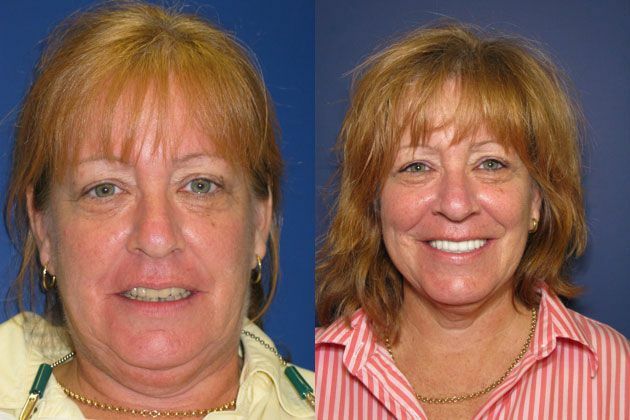 Our doctors performed a complete smile makeover with Porcelain Veneers. He lengthened and straightened her teeth to accentuate her full lips and narrow features. 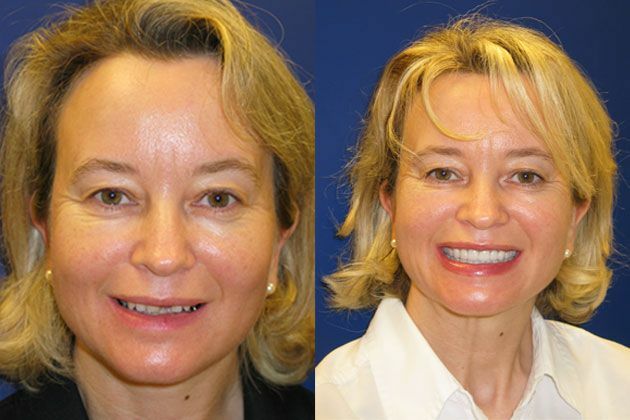 The final result is a more youthful vibrant look to her whole face and her smile. 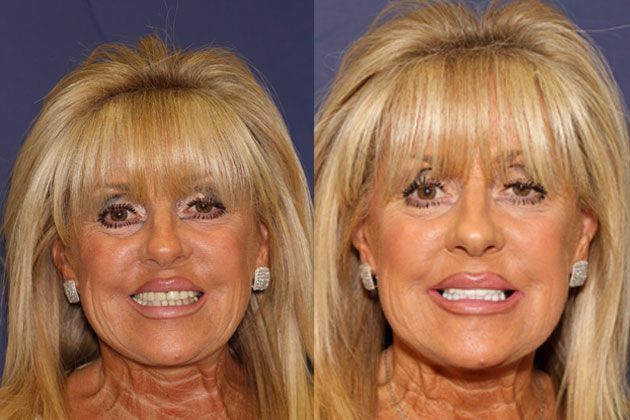 Their doctors did a beautiful job on my smile makeover. They're artists! Thank you! Nancy??????????????? ??????????????????? ?John had dark grey teeth which affected his confidence. 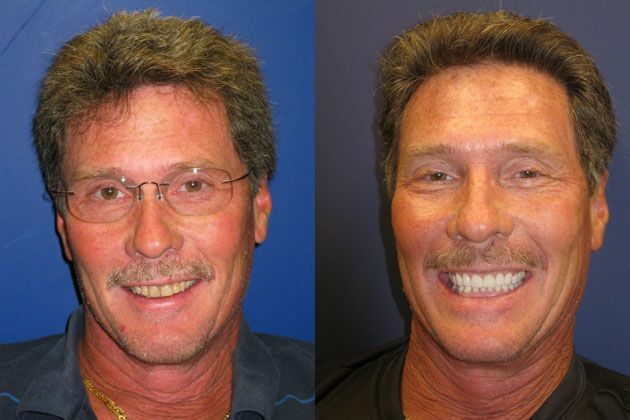 He wanted a handsome, white smile that would enhance his professional image and make him feel good. 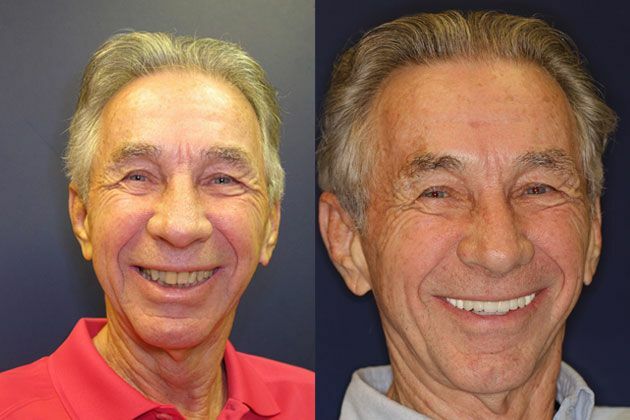 Our doctors were able to hide John's dark tetracycline stain with Emax porcelain veneers. 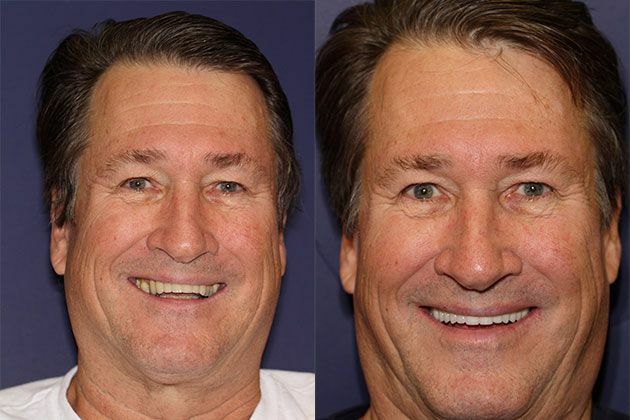 The final result makes dramatic changes to John's entire face. "Words cannot tell you how grateful I am for what you've done for me. I look and feel so great! Your work is amazing." John??????????????? ??????????????????? ?Rhonda had a very narrow upper jaw with dark yellow teeth. She wanted the whitest most brilliant smile possible and a fuller smile to complement her face and reflect her youth. 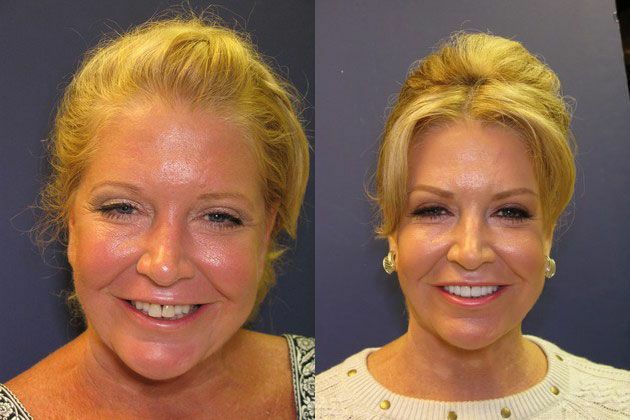 Our doctors performed laser gum contouring to reshape Ronda's gumline and designed a Complete Smile Lift with Porcelain Veneers. Even though Rhondas' veneers are extremely white, they still have translucencies and contours that look as natural as possible.??????????????? ??????????????????? ?Paul had veneers placed on his upper teeth and was unhappy with the quality of work done by his previous dentist. The veneers were over bulked (too thick) and appeared artificial. 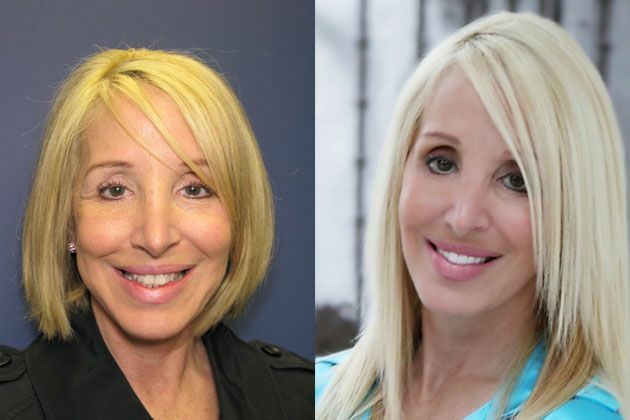 Our doctors placed Emax porcelain veneers on Paula's upper and lower teeth that have more natural contours compared to Paula's over bulked veneers. I realized I needed to find an expert in cosmetic dentistry. Their doctors did a wonderful job and their office staff members were outstanding. Paul??????????????? Cosmetic Porcelain Veneers: Do you want brighter prettier teeth? ??????????????????? ?Danielle's teeth were dark yellow and had been chipped and bonded years ago. 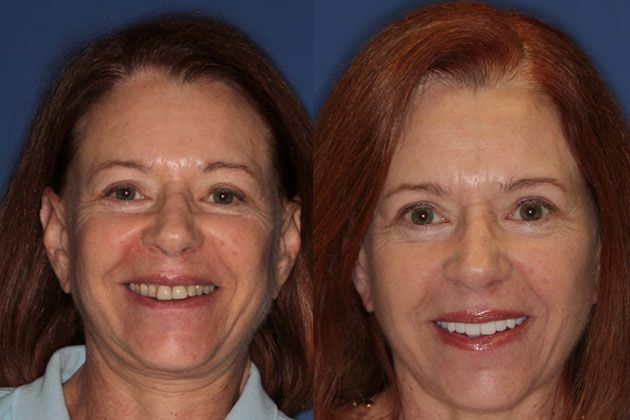 She wanted a brighter white smile that made her feel pretty. 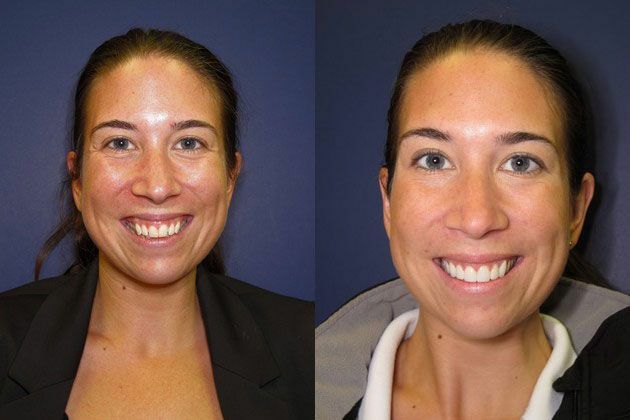 Our doctors restored Danielle's smile with durable Emax Cosmetic Porcelain Veneers created in their cosmetic dental lab. Now Danielle has a nice bright smile that will last many years. I've been wanting to repair my smile for years. My sister referred me to their doctors and I am so glad she did. They do excellent work and I'm really happy with how great it looks. Thanks! Danielle??????????????? ??????????????????? ?Ashley had dark stained teeth that were chipped and worn. 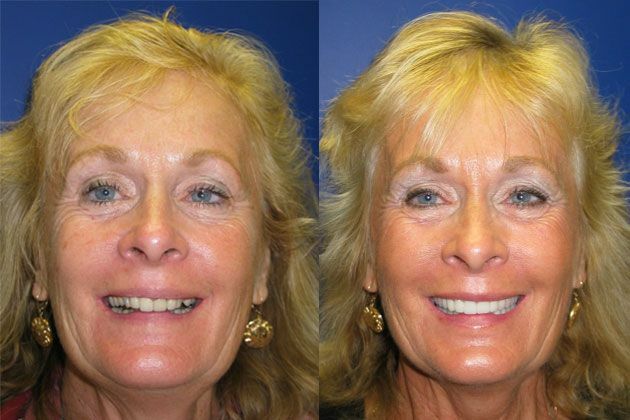 Her smile was restored with upper and lower cosmetic porcelain veneers. 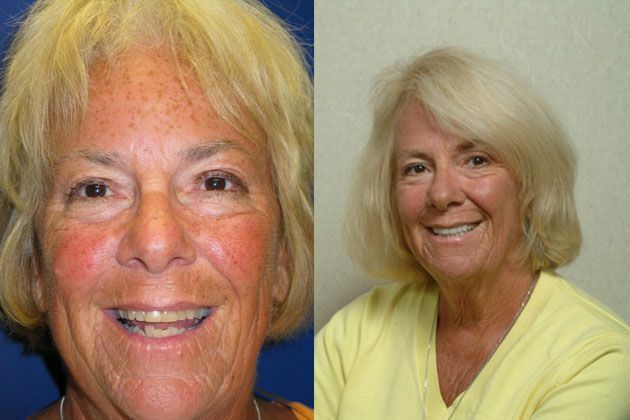 Emax porcelain veneers gave her a bright smile that makes her look and feel healthy. Actual patient of our doctors. PGA Center for Advanced Dentistry, PGADenstistry.com??????????????? ??????????????????? ?Neil had crooked teeth that had been chipped and bonded. 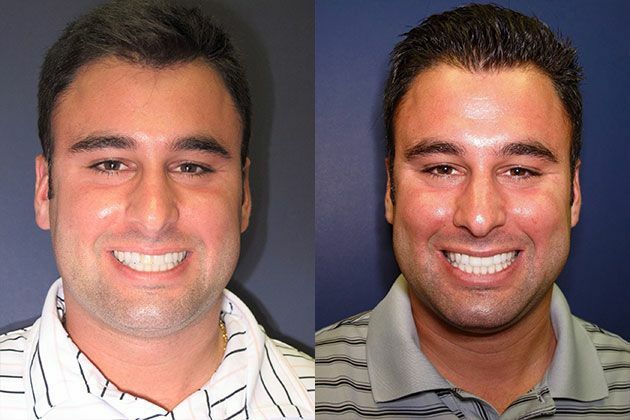 6 Cosmetic porcelain veneers with Emax porcelain totally changed his smile. Actual patient of our doctors. PGA Center for Advanced Dentistry, PGADenstistry.com??????????????? ??????????????????? ?Catherine didn't like her smile and the gaps between her front teeth. She wanted a pretty smile with more lip fullness. 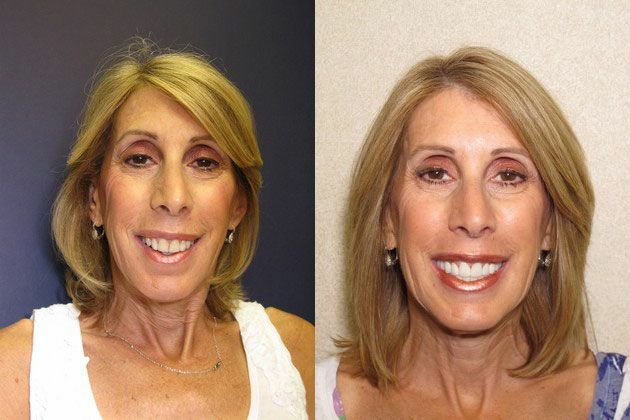 Emax porcelain veneers were designed to give her a beautiful smile that suits her facial features. Actual patient of our doctors. PGA Center for Advanced Dentistry, PGADenstistry.com??????????????? ??????????????????? ?Melanie had worn down and chipped yellow teeth. 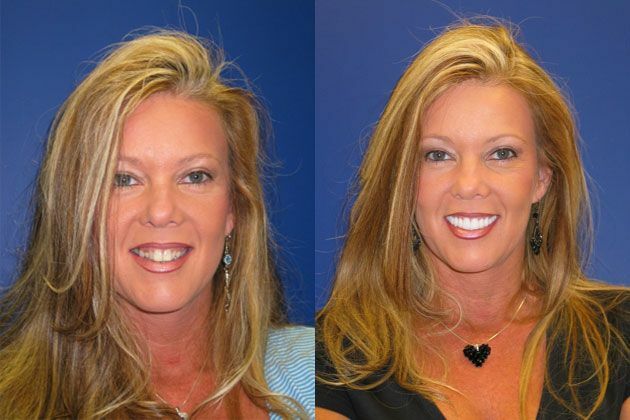 6 upper cosmetic Empress porcelain veneers gave her a great smile that is strong and durable. Actual patient of our doctors. PGA Center for Advanced Dentistry, PGADenstistry.com??????????????? ??????????????????? 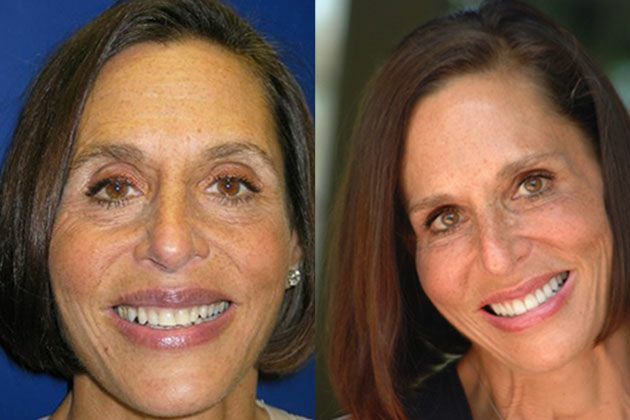 ?Wendy had stained yellow teeth brightened with cosmetic porcelain veneers. Actual patient of our doctors. PGA Center for Advanced Dentistry, PGADenstistry.com??????????????? ??????????????????? 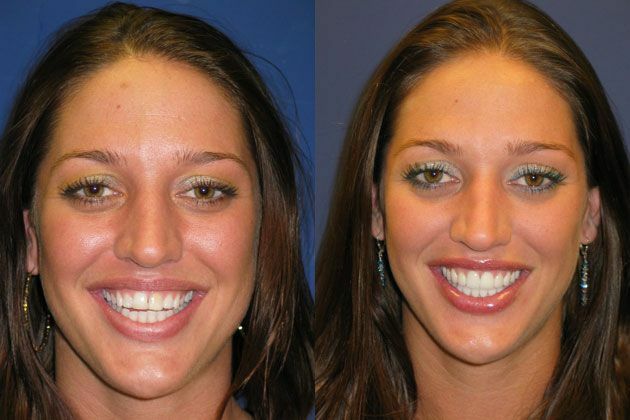 ?Eleanor had crowded yellow teeth which were restored with 6 cosmetic Empress porcelain veneers for a straight clean smile. Actual patient of our doctors. PGA Center for Advanced Dentistry, PGADenstistry.com?????????????? ?